Young moms have a lot of needs. They’re still teenagers, yet they also have to balance school, a boyfriend, friends, parents, and sometimes work. As a teen mom I faced depression when I lost my boyfriend and most of my friends during my pregnancy. I dropped out of school and slept until noon. With each day that passed I put another brick on the wall I was building around my heart. Those bricks started tumbling when older women reached out to me with love and compassion. Because they loved me, I dared to believe God loved me too. Sometimes I wonder where I’d be today without those women. 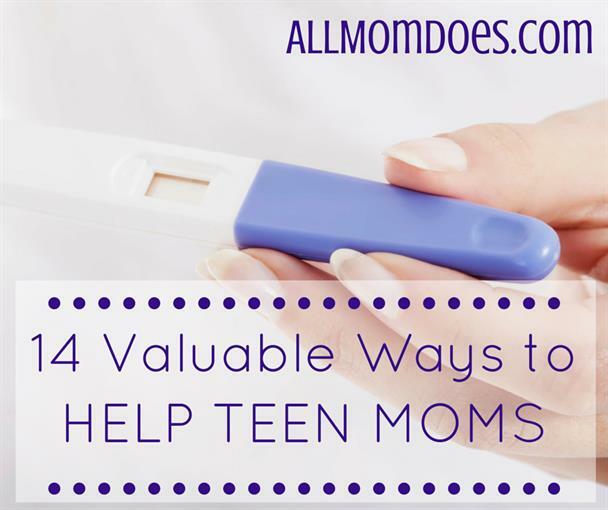 If you’d like to help teen moms, here are some valuable ways to do it. You’ll never know the impact, but I guarantee it’ll be huge! 3. Help with homework. Offer to help with college applications. Search for scholarships, too. 7. Take her to lunch and talk about her baby. Even if a pregnancy is unexpected and unplanned, there is still a child to celebrate. Ask her if she has any questions with pregnancy or parenting you can answer. Read the rest of this post over at AllMomDoes.com!